Katrina Kaif reposted a picture shared by Humans of Bombay on their Instagram account. NEW DELHI: Actor Katrina Kaif's Instagram posts are always a treat - she's been posting some brilliant behind-the-scenes photos from her shoots and some adorable throwback pictures too. However, among all those lovely posts is one about a woman cop that's winning love on the photo sharing app. Some 22 hours before writing this, Katrina reposted a picture shared by Humans of Bombay on their Instagram account. 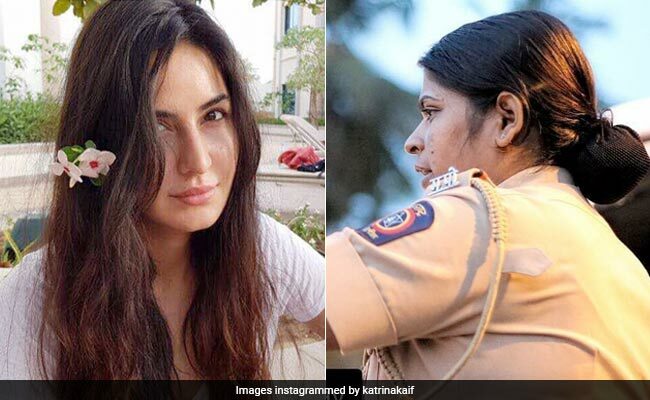 The photo shared shows a woman police constable from Mumbai and accompanying it is her story along with a message for everyone. In the post, the cop, not named, talks about her reason for joining the police force. She also tries to clear certain misconceptions people may have about the police department. Make sure you read till the end of the post for her message. #Repost @officialhumansofbombay "I grew up watching my brothers and uncles working in the police force. When the time came to pick a profession, I chose to be a police constable myself because I wanted to be able to protect myself and others without being dependent on anyone. Today however, I feel like because of a few incidents, we're misunderstood on the whole. Everyone thinks we're lazy, corrupt and that if they dial an emergency number it's useless -- but let me tell you that I've attended to those emergency calls myself. I drive this van during the night slot, and if any woman in the locality I've been assigned calls 103, I will be there within a few minutes. Next time, trust in us and dial any emergency number...we won't let you down." Since being reposted, the post has collected over 1.8 lakh 'likes' and lots of comments on Instagram. "Such an inspiring post," says one commenter. "Thank you Katrina Kaif ma'am for spreading awareness," says another. Tell us what you think of the post in the comments section below.